Dixie Madden | Adams Jones Law Firm, P.A. Dixie's businesses practice is extensive. She has worked with clients in forming for-profit, not-for-profit and professional businesses, using C corporations, S corporations, partnerships and limited liability companies. 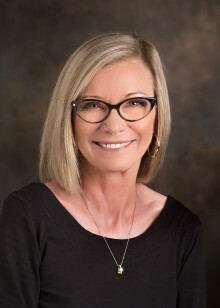 In business matters, she has assisted corporations and limited liability companies with many types of documents and agreements, including records, buy-sell agreements, restrictions of transfer, ownership transfers, employment agreements, management agreements, license agreements, lease agreements, loan agreements, security agreements, and UCC filings. She also has represented clients in the sale and purchase of businesses, including conducting due diligence, preparing asset, stock purchase, and merger agreements, preparing exhibits and schedules, making necessary filings, and closing the transactions. Dixie is well-versed in securities matters. She has represented clients in conducting public offerings with numerous state filings, prepared private placement memoranda for private offerings, and advised clients regarding federal and state requirements for the sale of and transfer of securities. In health law, she has assisted physicians and physician groups with business law matters involving Medicare, Medicaid, Stark II, antikickback, false claims, compliance plans, managed care, and long-term care issues. She has also assisted many clients in implementing and maintaining qualified retirement plans under Federal law.